Hurí Broadcast will play an important role in the next celebration of the 4K HDR Summit that will take place in the city of Málaga between the 7th and 9th of November. The event, which will bring together the world’s leading experts in new technology 4K celebrates its fourth edition with great novelties. Representatives from more than 20 countries will share the latest technological advances and content production in 4K HDR. 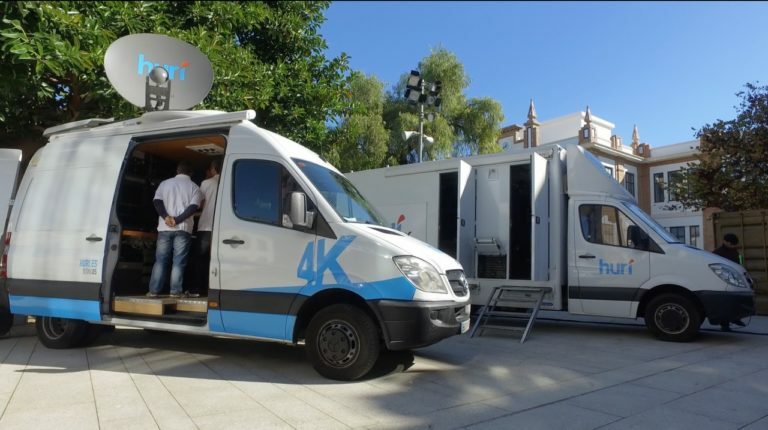 Hurí and his team of professionals will participate by presenting a new 4K-12G OB van, unique in Spain. This latest generation unit will carry out the event via Satellite Hispasat and Streaming. Hurí is an audiovisual company that applies the latest technology to the service of the most advanced audiovisual production. With the guarantee of a 25-year track record in the sector, it offers all the necessary infrastructure for the management of audiovisual content, broadcast assistance, satellite and 4G connections, the production of top audiovisual events, communication and global technical services. Hurí has already proven to be at the forefront of several live 4K events, including the Cambio de la Guardia Real and the opera Parsifal for TVE and the “Exhibición de Enganches de Ronda” for Canal Sur, making it the first regional television to broadcast 4K content in real time. In addition to Hurí, Spanish companies such as RTVE, Canal Sur, Hispasat, Cellnex and Tedial will be present at the 4K Summit 2018. If you want to be one of the 250 exclusive attendees of the 4K Summit and get to know first-hand the experience of internationally renowned speakers and companies in the 4K-HDR sector, get your accreditation here.